Recreational cannabis sales continue to disrupt medical marijuana markets, which are morphing into merged regulatory regimes — just as GreenWave Advisors founder and managing partner Matt Karnes predicted almost two years ago. The most recent sales figures from Colorado, California and Massachusetts are the evidence. Colorado recently reported cannabis tax revenues for October 2018. 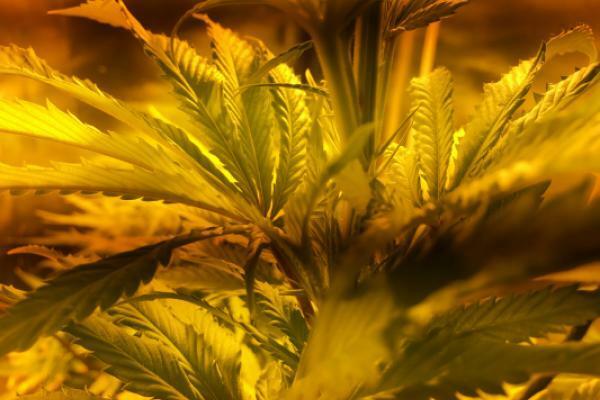 “As expected, medical marijuana sales continue to slide,” Karnes told Benzinga, pointing to the 21-percent year-over-year drop in revenue to $26.7 million. Recreational sales rose by 8 percent year-over-year to $92 million. Colorado released its cardholder registry for August — reporting continues to lag — and the cardholder count was down 2 percent from July to 86,000, Karnes said. Average patient spend per month was steady at $300. Cannabis investors can't miss the Benzinga Cannabis Capital Conference, the No. 1 networking event for institutional capital and the leading cannabis companies. Secure your tickets before they run out here. In California, Q3 implied revenue for adult use cannabis sales totaled $350 million, up 24 percent from Q2. This amount does not include medical marijuana sales of $95 million, which would take total marijuana sales to approximately $445 million for Q3 in the Golden State. The total number of dispensaries increased to 445 in Q3. Four percent of these focus on adult use, 84 percent sell both medical and recreational cannabis and 12 percent make medical sales only. The total number of dispensaries in Q3 represents a surge of more than 10 percent quarter-over-quarter. The count reflects 400 dispensaries that were legally operational in Q2. Out of these 400 stores, 5 percent focused on adult use, 80 percent on both medical and adult use and 15 percent medical-only. One hundred retailer licenses have been issued quarter-to-date in Q4. For all license types, 270 were approved and 206 rejected in Q4. GreenWave Advisors expects “continued pressure on the supply chain beginning next year as more stringent pesticide testing requirements go into effect" in California. The firm estimates average monthly revenue per adult use dispensary at $300,000, up from $250,000 in Q2. In comparison, monthly revenue per medical dispensary was 25 percent that of recreational use at an estimated $75,000, with high operating costs due to factors such as a larger tax burden, according to GreenWave. "We believe it is likely that many of the medical-only businesses will be either forced out of business or consolidate with an existing recreational use license holder." Finally, there’s Massachusetts. As reported by the state, sales of recreational use marijuana exceeded $2.2 million in the first five days of operations. This suggests that “each of the two dispensaries averaged $220,000 in revenues per day,” Karnes said. To put these results in perspective, let’s take GreenWave’s Q3 estimate for the average revenue per dispensary in California: around $300,000 per month. Based on early numbers, the firm anticipates Massachusetts in 2018 will report recreational use marijuana sales of $62 million and medical sales of $170 million, resulting in combined revenue of $230 million. The data once again confirmed the hypothesis of recreational markets disrupting medical markets. In September and October, new medical marijuana card applications in Massachusetts declined by 16 percent and 13 percent, respectively. “We believe this is an early indication that the recreational market, as we observe in all other fully legal states, will disrupt the existing medical marijuana market,” Karnes said.